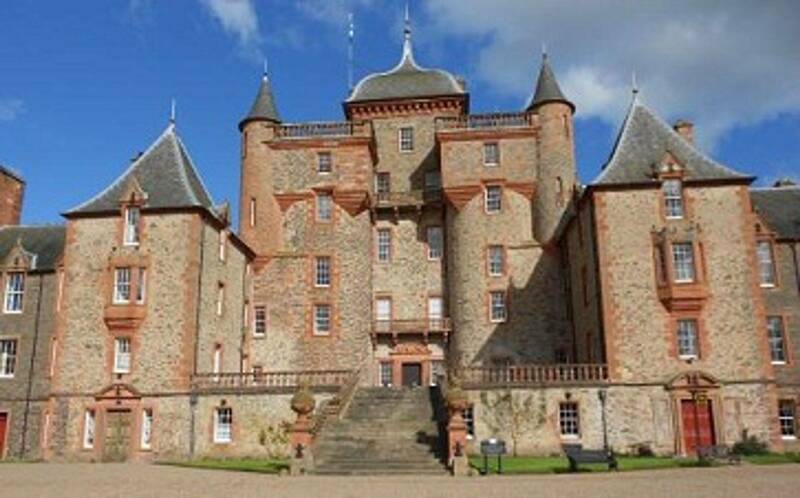 I am enclosing my check in the amount of _____________________ to be forwarded to the Thirlestane Castle Trust to aid in repairs. A tax deductible receipt will be sent upon receiving your donation. Sarah and I moved into Thirlestane in September 2012, taking over the reins from my father. The first six months have certainly been challenging, especially in comparison to our lives in London. In the public eye Thirlestane is a fortress that has stood since the 16thcentury, guarding Edinburgh from southern invaders. The reality is that Thirlestane is one of the oldest and finest castles in Scotland and like many historic buildings, needs permanent love, care and attention. This couldn’t have been more evident to Sarah and myself. Since we’ve been here, Thirlestane has thrown numeroussurprises; from blocked chimneys (200 feet from the ground), no running hot water or heating, the river breaking its banks causing massive flooding, to a massive outbreak of dry rot, resulting in Thirlestane having to close its doors to visitors for the year. Thirlestane and my parents have seen it all before, but nevertheless, it’s destructive and heart breaking for us. Walls were stripped back to their bones, floorboards, windows and piping pulled out and treated. However, through the Trustees’ hard work and through local craftsmen, we think we have got to the bottom of it. Unfortunately, this has come at a cost. Thankfully, the insurers have picked up a large proportion of it, but we’re putting together a campaign to raise funds to cover the shortfall. Terrible, but what an exciting project. My father describes Thirlestane Castle as a ship that occasionally hits rough waters, but like all great ships, it will carry on sailing. So from a sheltered life in London, to taking on the greatest challenge of my life, I am not only excited and apprehensive but always in awe of this magnificent building. Six months has flown by and with Sarah being pregnant and due in August, I have no doubt the next 6 months will throw many more surprises at us, but this great ship will sail on.